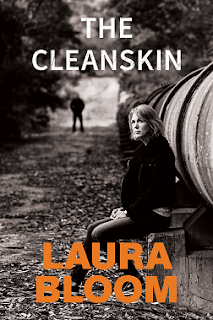 Today's Friday Freebie is part of the The Cleanskin blog tour, so be sure to check out the next stop on the tour on 18 September over at Reading, Writing and Riesling. Laura grew up in Sydney and has travelled widely, including living for spells in Germany, India, the UK, and – as a baby – in New Guinea, which is where she began her love affair with the subtropics, and where she later received possibly the world’s smallest traditional tattoo. Laura’s novels have been shortlisted for the NSW Literary Awards, the ABC Fiction Prize and the Young Australian Readers’ Awards and published in France, the US and the UK. She now lives in a small subtropical town near Byron Bay with her chosen family, including her godson and her son – who has autism. Sounds interesting. Thank you for the opportunity. I agree, this does sound most intriguing.